LEAP members become leaders in project sales, continue building skills with advanced masterclasses, and achieve industry-wide recognition and status. Learn on your schedule. LEAP is accessible online any time, from any device. Advanced lessons taught by the industry’s best. New modules are released each week, with advanced lessons taught by the industry’s best. LEAP provides a CPD accredited training course to learn all the tools and strategies to sell projects. Do your training any time, anywhere, at your own pace. The LEAP Masterclass Library deep dives into every aspect of project sales. Learn from top developers, the most successful sales leaders in the industry and experts in PR, Marketing, Construction and more. The LEAP Masterclasses bring you never before share insights from the best of the best. 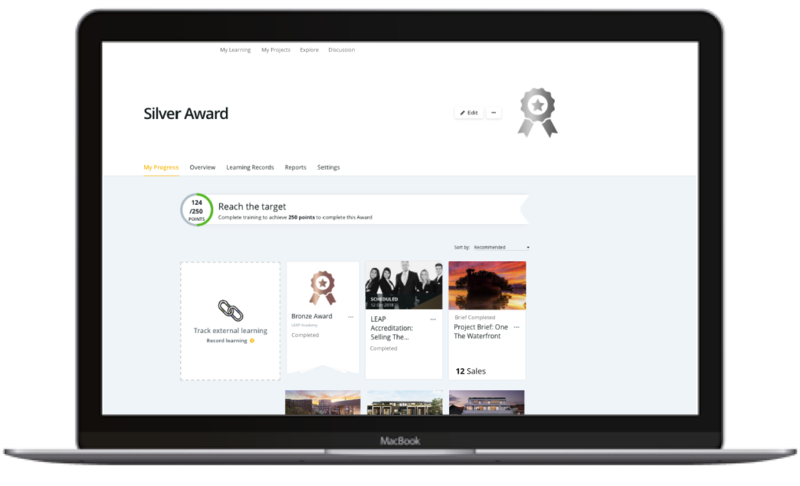 Complete more advanced modules to move from Bronze LEAP Accreditation to Silver, to Gold and be recognised by developers for your success. LEAP provides a CPD accredited training course to learn all the tools and strategies to sell projects, plus new training modules released each week. Do your training any time, anywhere, at your own pace. LEAP is project sales, reimagined. 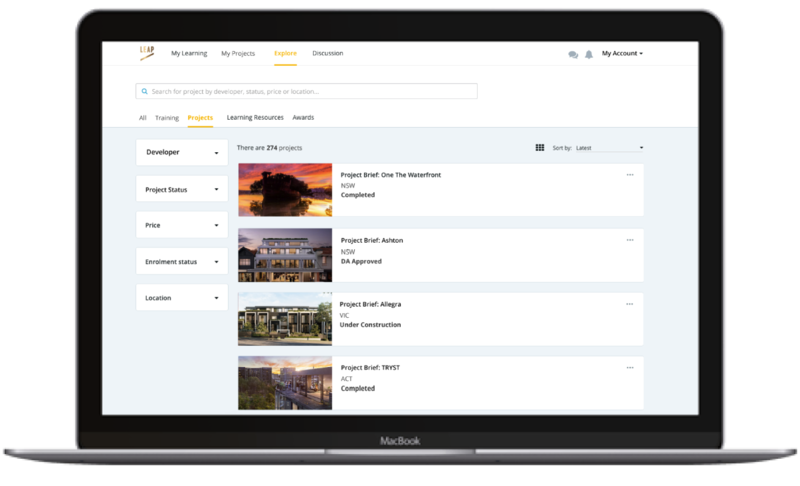 For the first time, LEAP makes selling projects easy and accessible to all agents – whether independent or under a franchise. 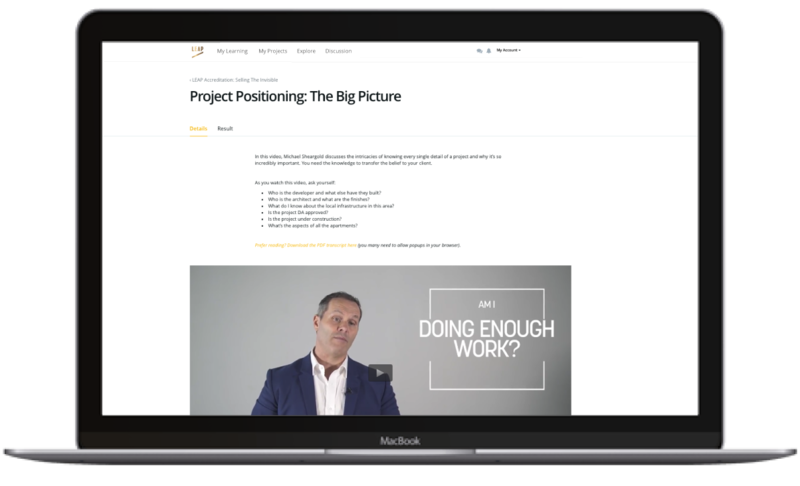 LEAP opens up a new business model for agents looking to get started in projects, and provides the only training program specifically designed for project sales teams.